Pierce, R.V. and V.M. Pierce. Beauty Secrets for Women [title from cover]. 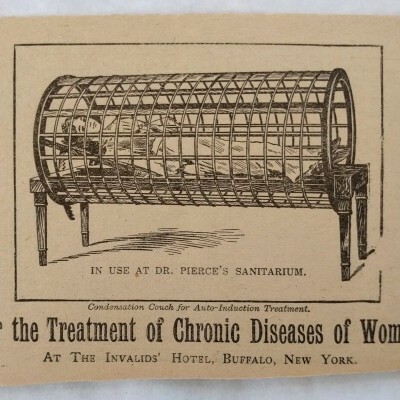 [Buffalo, NY]: [Invalids’ Hotel and Surgical Institute], n.d. Oblong, approx. 3-3/4 x 5-1/3 in., 32 pp. ; illus. throughout, booklet with stapled pictorial wraps; roughly trimmed, else good. 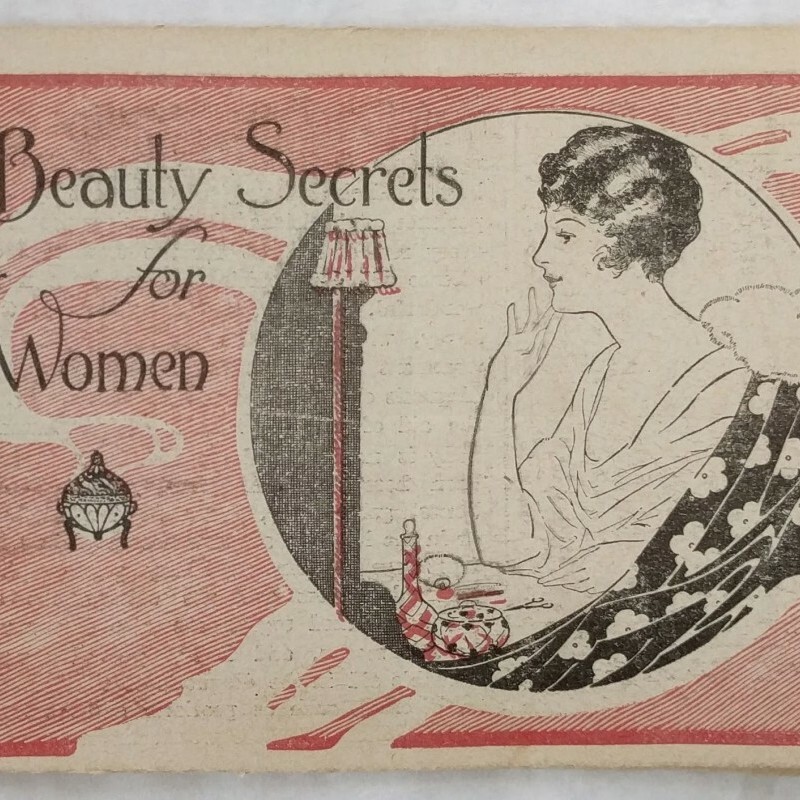 Patent medicine promotional booklet advertising women’s beauty and health secrets.